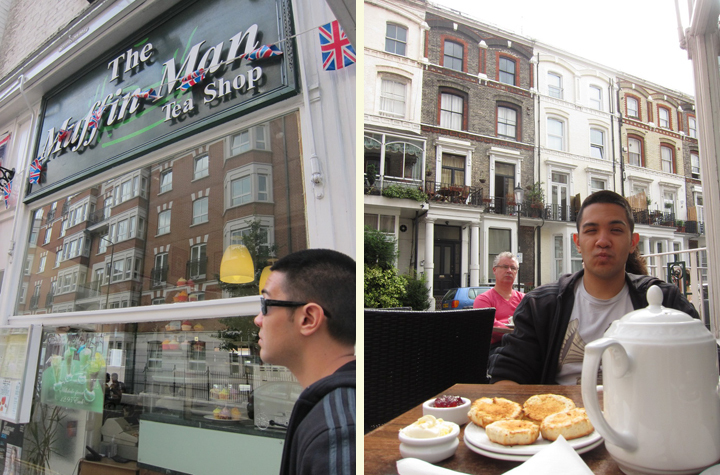 Mr. Selfish and I went on a hunt for delicious scones in London. In the States, I always think of scones as overly sweet and dense. 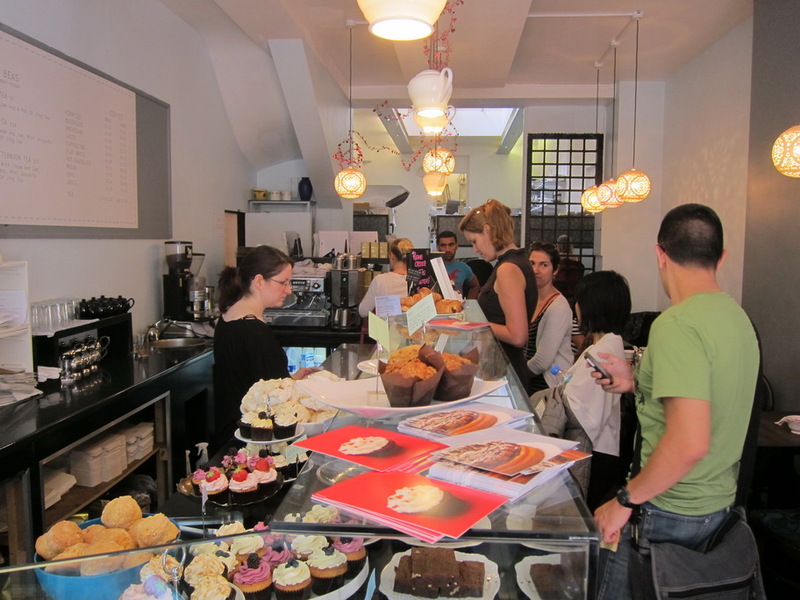 However, in London, they are as they should be – flaky and delicate. 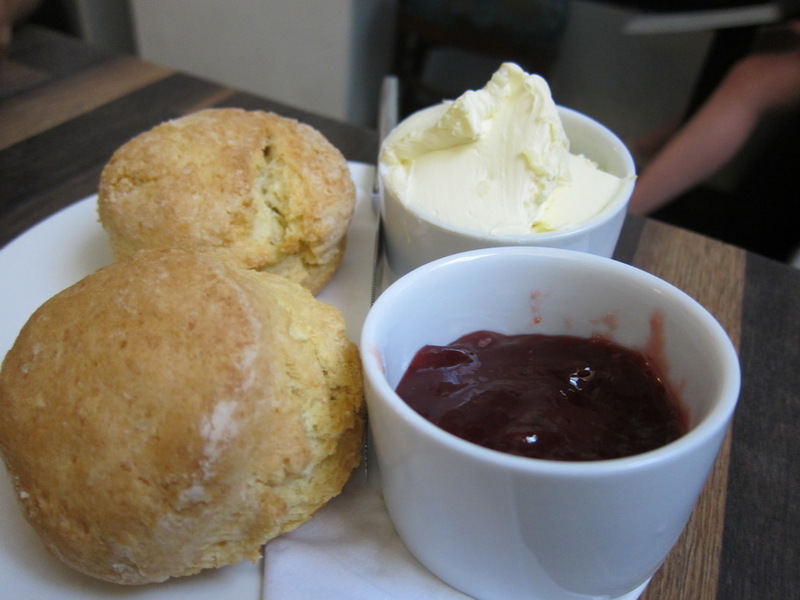 Unlike biscuits, which are made with animal fat or shortening, scones rely on cold butter for their texture. 1. Yumchaa – We tried three different scones here – (1) date, fig, and pistachio, (2) smoked cheddar and chive, and (3) feta cheese and olive. 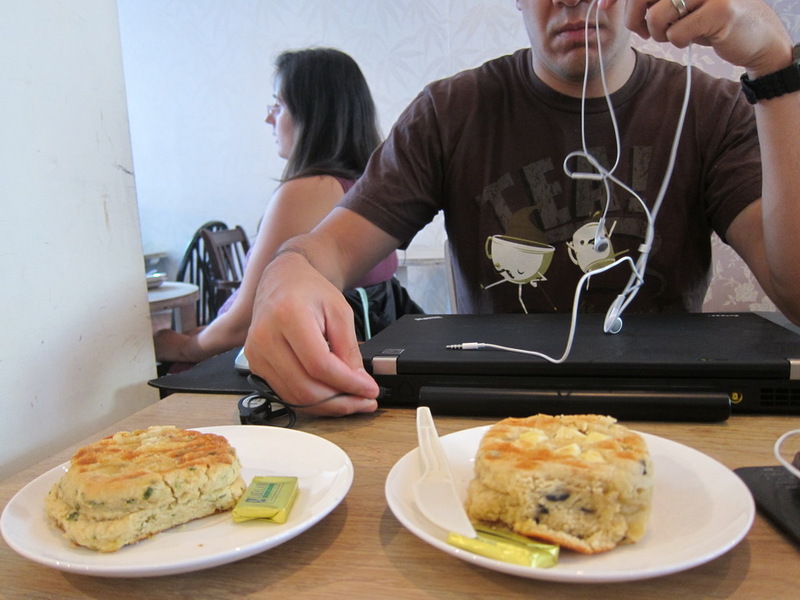 Although the savory scones were different, I preferred the traditional sweet one. 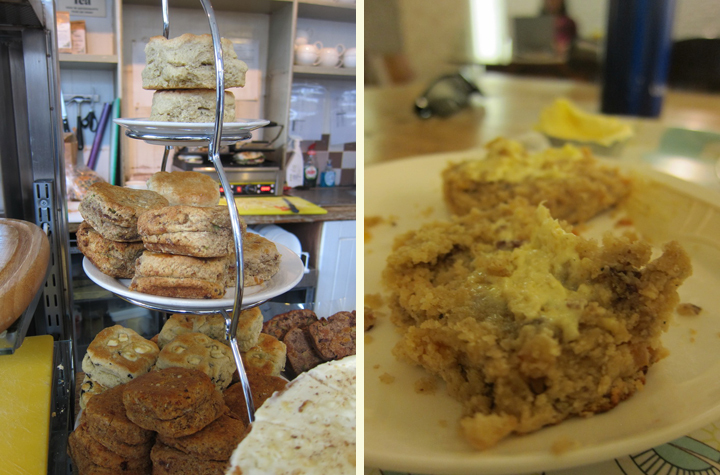 I like Yumchaa scones because they have a different more crumbly texture than the other scones we sampled in London. Also, they toast the scones in a panini maker. 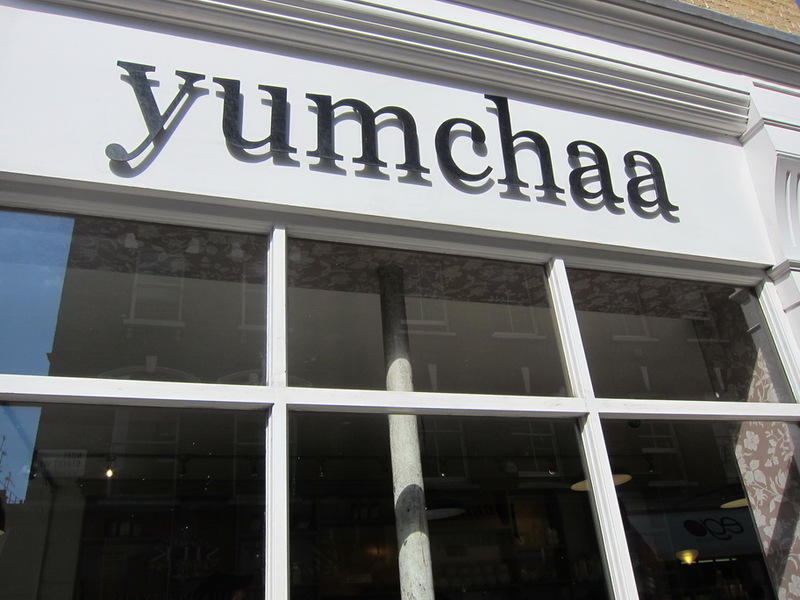 Another bonus is that Yumchaa has an extensive tea selection. 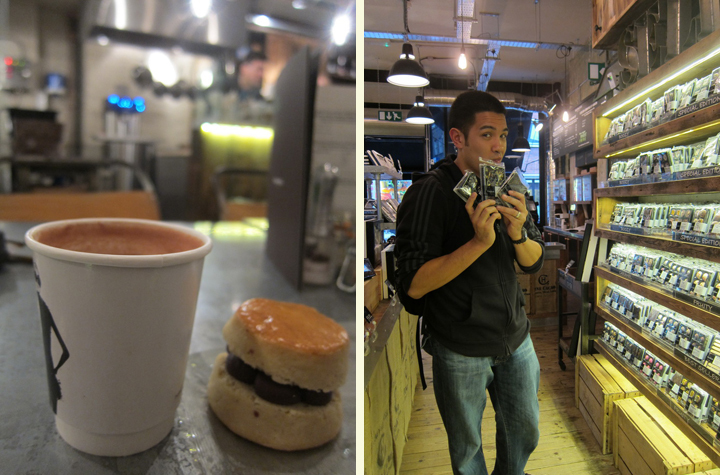 Mr. Selfish and I tried the Chelsea Chai and the Chilli Chilli Bang Bang. Both were delicious and the flavor was just right – not overwhelming. 2. 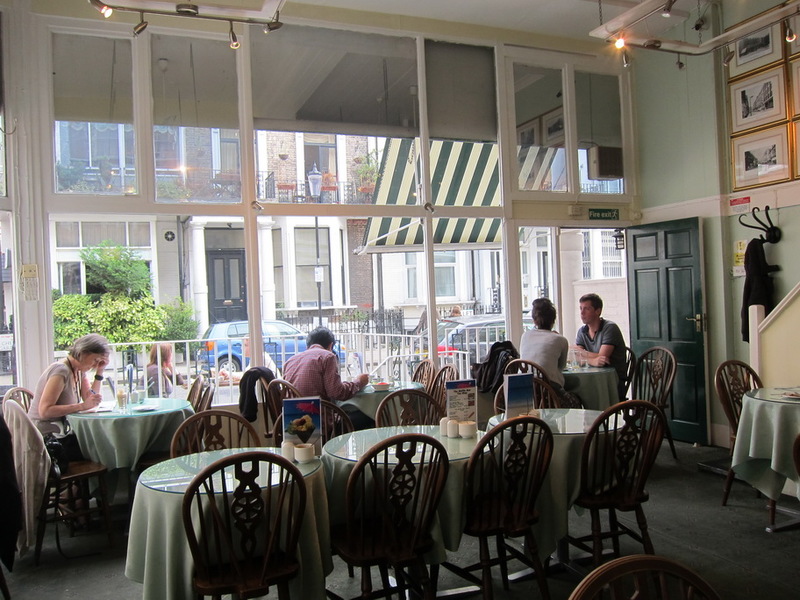 The Muffin Man – We had cream tea at the Muffin Man in Kensington. 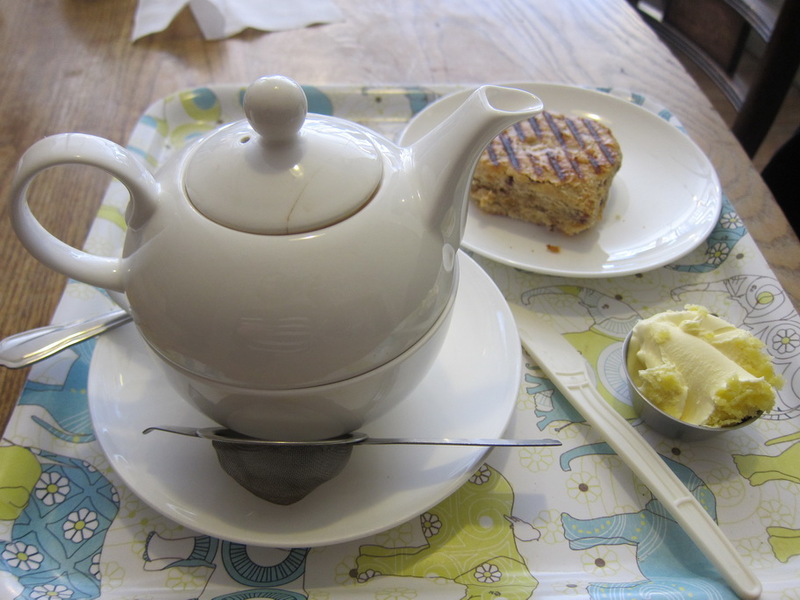 It was a delightful little shop, and the scones were flaky and nicely warmed. 3. 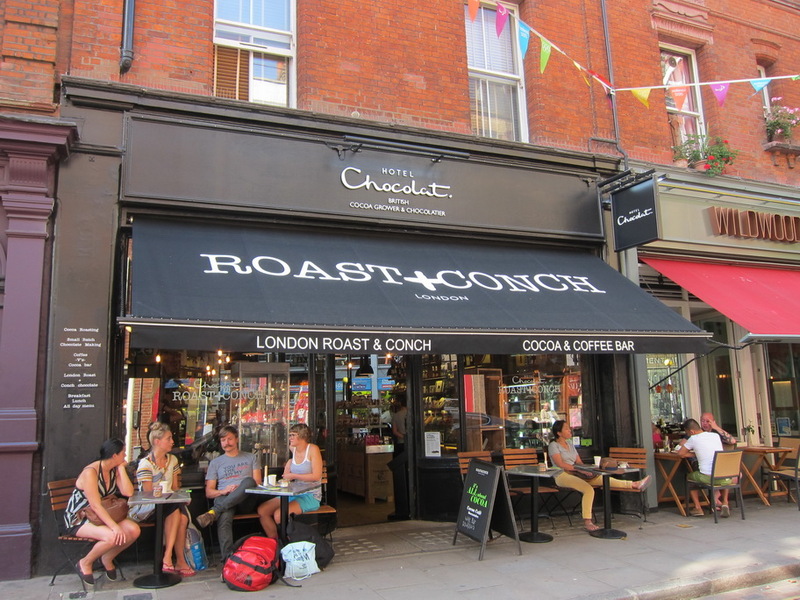 Hotel Chocolat – Mr. Selfish and I must have come across at least 10 different Hotel Chocolat stores all over London. It seemed like a big chain so we mostly avoided it. 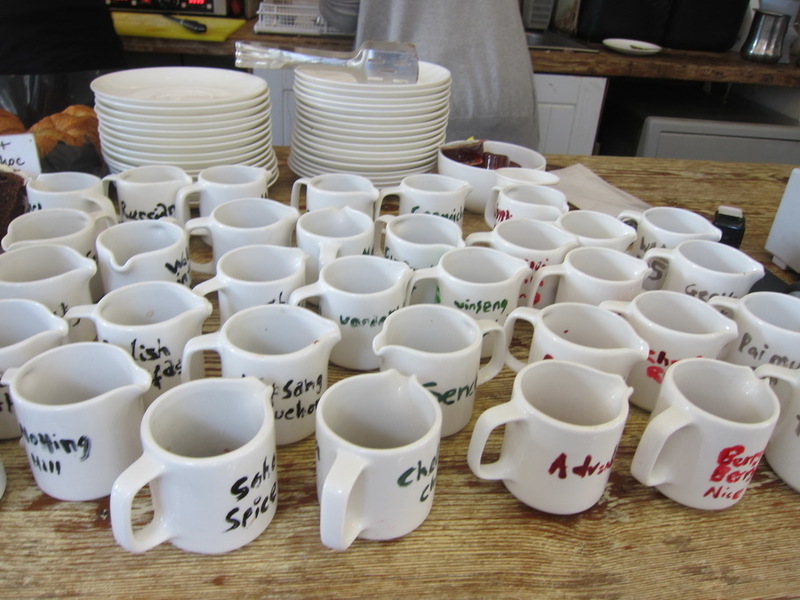 However, I had a craving for hot chocolate one day so we broke down, and I’m glad that we did. 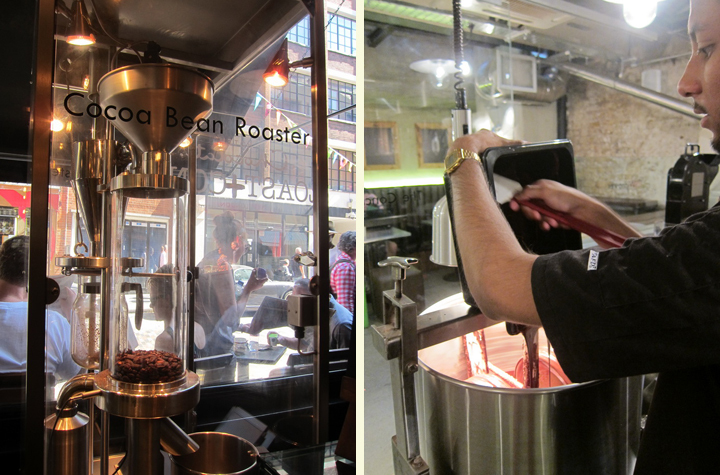 The chocolate here is delicious, and they roast the cocoa for the hot chocolate on the premises. 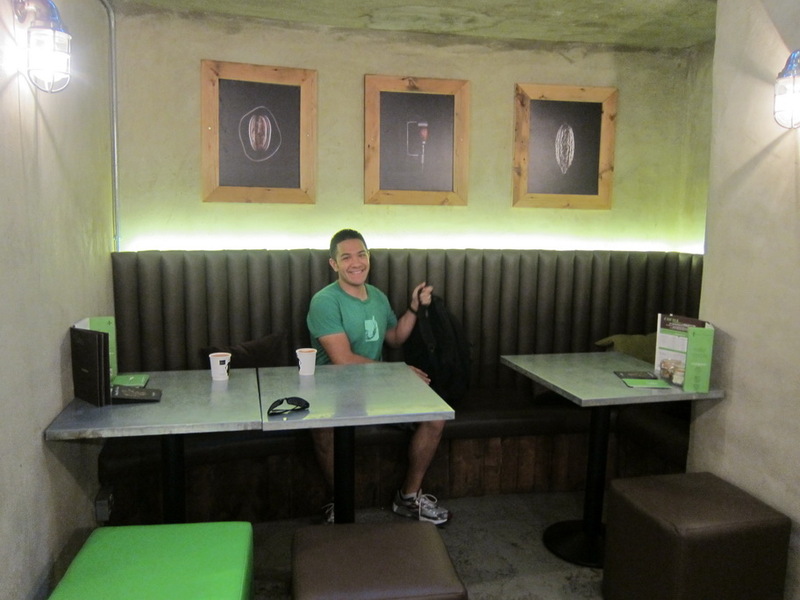 And of course, we had a delicious chocolate scone here. The scone was a little dry but the chocolate was excellent. 4. 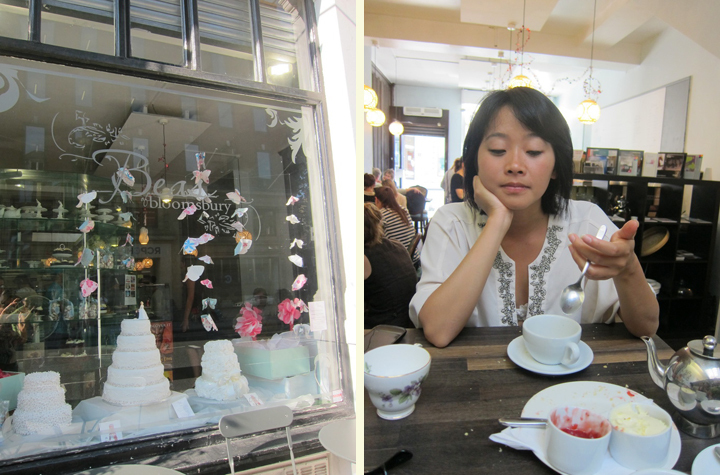 Bea’s of Bloomsbury – I remember not enjoying Bea’s of Bloomsbury scones that much. They reminded me of the dense American scones. After doing some research, it seems that Bea’s specializes in American desserts and pastries – hence, the American style scone. At least, there was still clotted cream and jam.